There has been an unprecedented load on the public health care system. In such a situation, it assumes a lot of importance for the entrepreneurs to consider setting up a healthcare business. In fact, with the government emphasizing the involvement of the entrepreneur community into the public services, it should be the best option for building your entrepreneurial startup. However, being a sensitive industry that healthcare has been, it would be a good idea to go through a few tips before you embark on your journey. Of course, you have dual aims in opting for starting a healthcare business. You have realized the immense potential that the healthcare business offers you, and the businessman in you wants to tap it for your prosperity. And then, you would also want to solve the challenges that the healthcare sector has been going through as a genuine gesture of philanthropy. In either case, it would be practical enough to weigh the possible issues and be prepared. The following tips should form part of a strategy well developed. This should assume far more importance than starting your business right away. Hiring a good market research team would be the first step in that direction. Work in tandem with your market research team and analyze the outcome of the results. You can, thus, pin point the specific healthcare requirements that your region has been looking for. That should work as the ground for your further plans. Identify the gaps in the available health services and make an attempt at filling them. This way you would be connecting better with the consumers. Investors are the backbone on which any entrepreneurship can float. Your service partners and investors need to be on the same wavelength as you are. What we mean by that is that your business partners – whether through investment, or the service/product providers – should be able to share your vision and be compatible. A business partner in the form of supplier assumes even more importance. Check out for the product providers who are genuine with a product line up that beats the competition. Sun Warrior protein powder can be a good example for a healthcare business that has grown popular with right alliances. If you foresee a conflict with your investors and suppliers, do try sorting them out in the initial stages – or part ways. Healthcare business is not a stagnant technology. It is constantly evolving and losing track of the recent developments can ruin your dreams. Identify the emerging trends and keep up with them. Being innovative and open to new technologies should be the success mantra for any business. 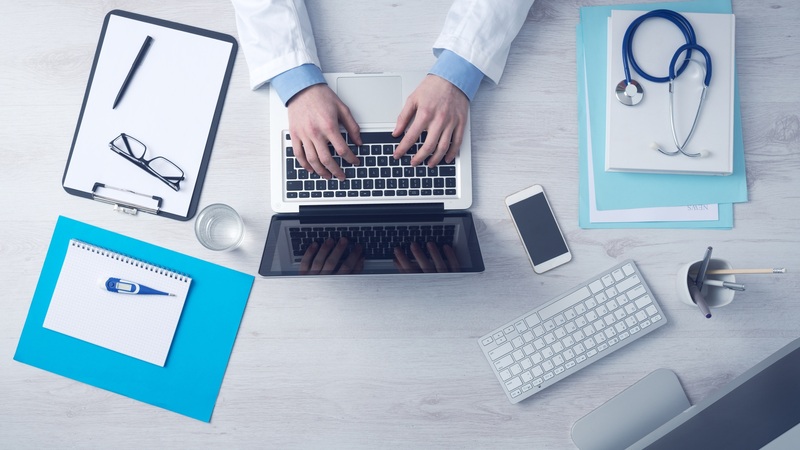 Be it telemedicine, the new equipment, the new trends in healthcare and new surgical procedures are a few points you need to stay abreast with. Be creative with your innovation and there is nothing that can hinder your success. Understand why most of the start-ups fail. Do not go beyond the scalability. Running out of money can be a major concern in any startup. Make adequate arrangements and proper plans for investments. Being successful in healthcare may not be easy. You need to have access to an already available customer base, having a good initial capital and deriving the expertise that can come in handy to take care of the complexities and risks involved in the trade. Never go overboard. Know the ability that your team is capable of and your limitations at that. Healthcare is not just a business. It comes combined with social responsibility and your duty towards the public health services. One of the constraints in the healthcare industry is the fact that there are no affordable services available for the poor and needy. You may not be able to take the burden of free service as an entrepreneur. However, there are certain ways you can fulfill your social responsibilities. Partner with NGOs that are involved in the public healthcare services. Assign your employees for the rural camps as a social gesture. You may also assist the government and other organizations in terms of research, thereby enhancing your social responsibility. That should conclude our discussion on the best tips for starting up a healthcare entrepreneurship. Given the dual nature of the industry that it needs to tackle both humanitarian approach and profitability, it is a little complex in nature. Striking a right balance between the two faces of the healthcare business can indeed take you to great height.